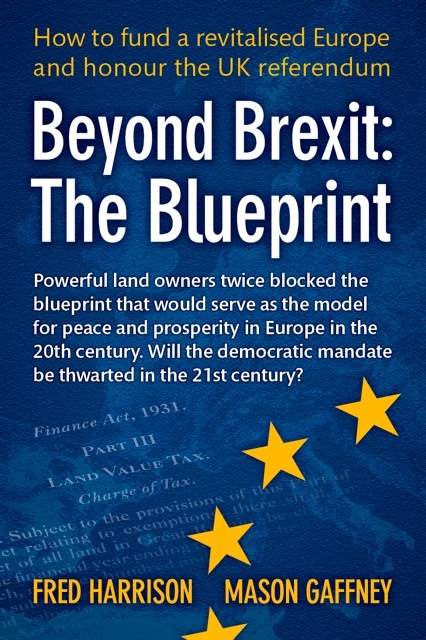 BREXIT was a gift to the peoples of Europe by those in Britain who voted to leave the European Union, argue the authors of Beyond Brexit: The Blueprint. As a consequence of the referendum decision, the EU is undertaking a review of the crises facing Europe. At their meeting in Rome in March 2017, to celebrate the 60th anniversary of the Treaty of Rome, governments from 27 countries – with the UK absent – will receive a plan from Brussels on how to address the problems which, in large measure, were due to fundamental flaws in the way the European project evolved. But the proposals for reform will not include the restructuring of taxation. 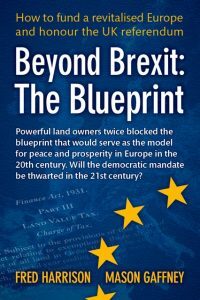 VAT alone is costing Europe at least €1 trillion a year in deadweight losses – the value of wealth and welfare that would be created if Europe’s governments raised their revenue from economic rent rather than from the regressive VAT, according to emeritus professor of economics Mason Gaffney in his contribution to Beyond Brexit. 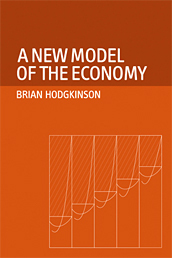 Co-author Fred Harrison estimates that the UK would be producing around £500bn more, if people were not burdened by what he calls the Treadmill Taxes on wages and profits. Treating Brexit as the historic opportunity to redefine how the UK views itself, Harrison analyses how a switch in the fiscal system would emancipate people psychologically, spiritually and materially. And by shifting taxes off earned incomes, the home market would expand by more than what would be lost if the EU imposes tariffs on British exports. According to Harrison, that would shift the negotiating power in favour of the UK, leading to a settlement with the EU that would be to the mutual advantage of everyone in Europe. 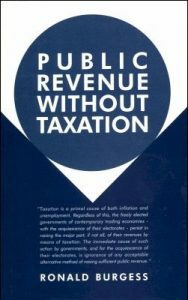 NextRent Unmasked – A book for the people?